Silky, Siv, and Mitsuki are now willing to do whatever it takes to find and rescue Ambassador Galen Vim. But government agents, criminal organizations, and bounty hunters swarm the Titus II system. Getting to the planet alive may be the easiest part of this mission since no one has seen the ambassador since he was captured by Tekk Reapers. Thanks to a vision from Oona, the young hyperphasic messiah, they know he’s alive and in the company of a mysterious young woman with unusual abilities. They also know that he has information essential not just to Oona’s survival but to the survival of human civilization itself. 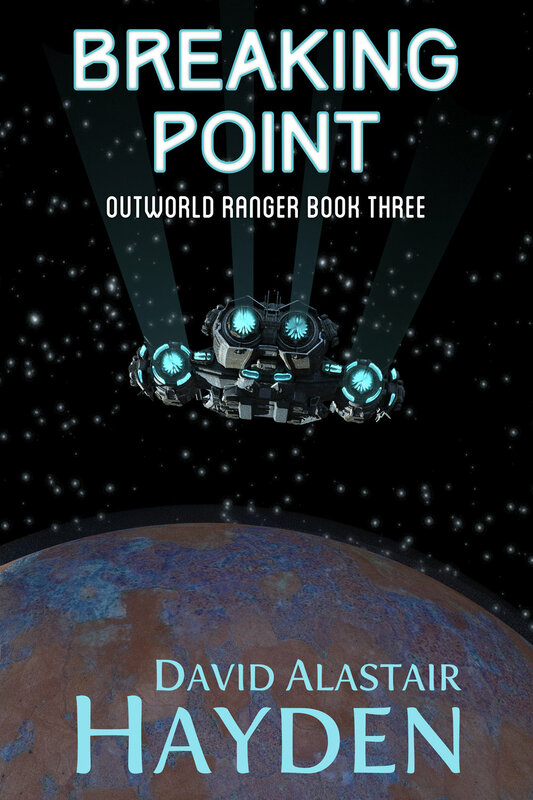 You can buy Breaking Point from Amazon.